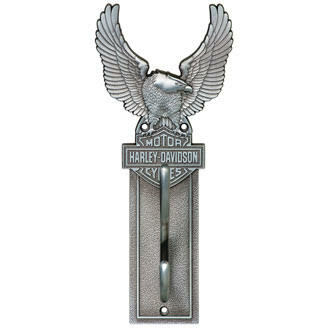 H-D Eagle Bar & Shield Coat Hook holds your gear in style and add function to any wall. Heavy-duty, zinc-cast, double hook with fade resistant, antique pewter finish features dimensional H-D Eagle design. Mounting hardware included.